The Shrewsbury Gateway Club is supported by the local branch of MENCAP and is a voluntary organisation promoting leisure, recreation and opportunities for adults with a learning disability (from 19 years to 70+). This busy club meets at the Social Services / MENCAP building in Albert Road, Shrewsbury on a fortnightly basis on a Monday evening and the Mencap disco meets on the alternate Monday evening. Both clubs run from September to the end of July. visiting speakers also feature on the programme. The Wednesday Club for Teenagers is a specialist, self-funded voluntary club for young people aged 12-19 with a disability. They meet fortnightly in the MENCAP / Social Services building in Albert Road, Shrewsbury during term time only. Trips are arranged for during the half term holidays. In addition to the established clubs, Shrewsbury MENCAP also promote a monthly sports programme. The sessions are held on the third Wednesday in the month at Sundorne School, Corndon Crescent, Shrewsbury, Shropshire SY1 4LL. A nominal charge is made for all activities. The buildings are fully accessible. Some assistance is possible with transport. Potential members must contact the organiser to discuss availability and waiting list for the Gateway Club. Information about Mencap in Shrewsbury. 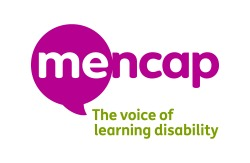 Information about Mencap services nationally.